Welcome to Emerging Asia - FTEC! 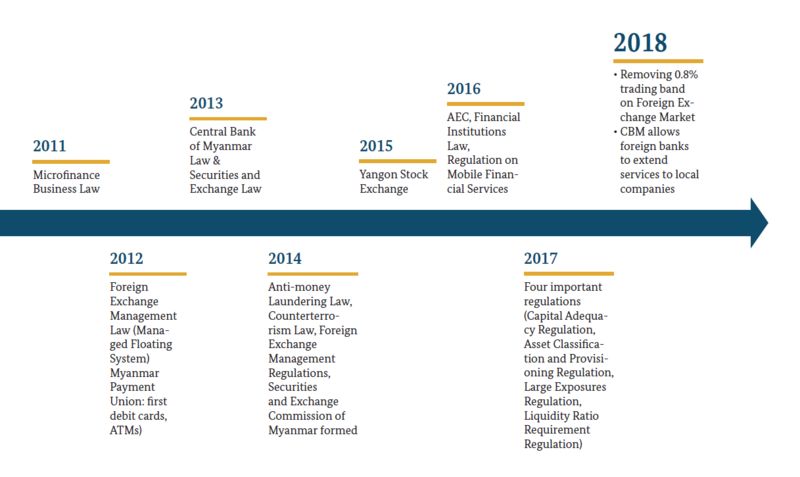 Myanmar has embarked on the gradual liberalisation of the financial services sector. The Central Bank of Myanmar is now allowing foreign banks to hold stakes of up to 35% in domestic banks. The Ministry of Planning & Finance has also announced that Myanmar’s insurance market is now opening-up to foreign insurers in both the life and the non-life sectors. This liberalisation is expected to generate considerable interest from foreign lenders and investors. This will herald a new era of tougher competition and innovation. Banks need to improve their infrastructure and know-how in order to improve their financial performance. Many are making investments in CRM, core banking systems and mobile delivery platforms to innovate financial products portfolios, create extra revenue streams and enhance profitability. In addition, FinTech has been identified as an effective vehicle to drive true financial inclusion driven by rapid mobile penetration rate – telcos are expected to cover 90% of the population within the next two years – with data and online access skyrocketing in recent years, paving the way for more innovation and opportunities. For many years, banks and fintechs have competed, but recently both have shifted their focus towards engaging in partnerships. The idea is to leverage the respective strengths of each other. The 4th Emerging Asia Banking & FinTech Summit 2019 is set to deliver first-hand insights and robust opinions from industry experts to help you better strategize your blueprints. Network with key industry players and seize the opportunity to benefit from the only authoritative platform that showcases and dissects real issues, providing you with a practical assessment of emerging opportunities from the region's financial transformation. The 4th Emerging Asia Banking & FinTech Summit 2019 is co-located with the INTO MYANMAR: Insurance Summit – providing a wider and richer networking experience for all participants of both Summits.